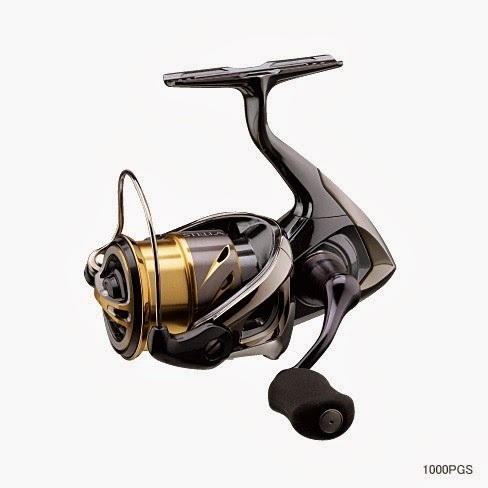 Shimano New Beast Master 9000 will be released on May 2014. Compare to Dendoumaru Beast Master 9000 ZB, this New Beast Master 9000 has much power. Dendoumaru Beast Master 9000 ZB, has MAX winding power at 90kg but New Beast Master 9000 has 113kg!! 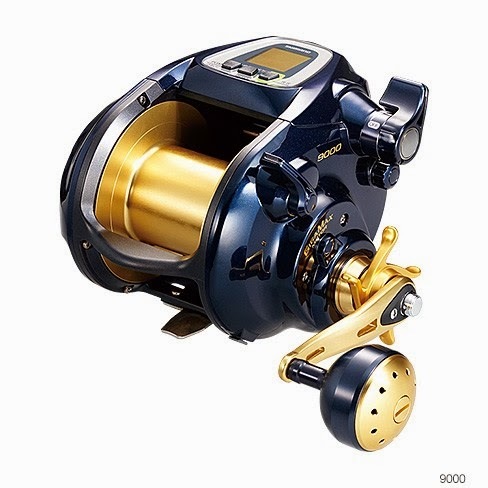 We will check the details of this Shimano New Beast Master 9000 on Fishing Show Osaka 2014 and upload on this blog! Please wait for the details! New 2014 Daiwa and Shimano catalogue arrive. It has MAG SEALED Ball Bearing on Line Roller and center of handle, inproced waterproof and rotation. The model has 2 line up, 5500H and 8000h. 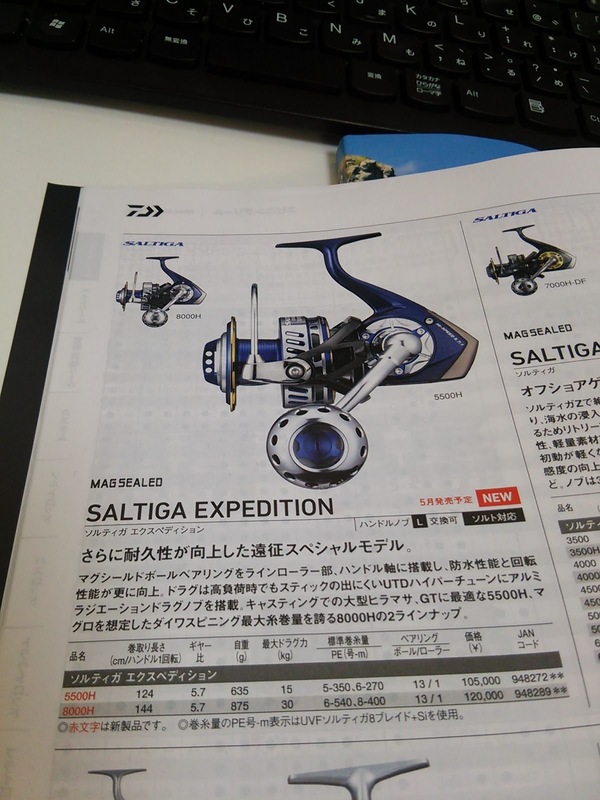 and DAIWA SALTIGA EXPEDITION 8000H is enought for line capacity for Tuna fishing!! You can book from this page!! 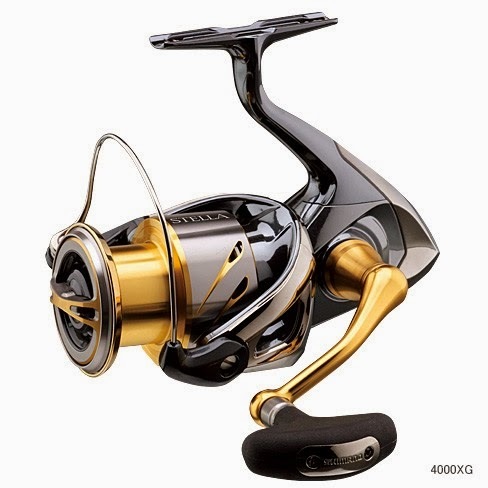 Shimano Stella 2014 will be released on March! 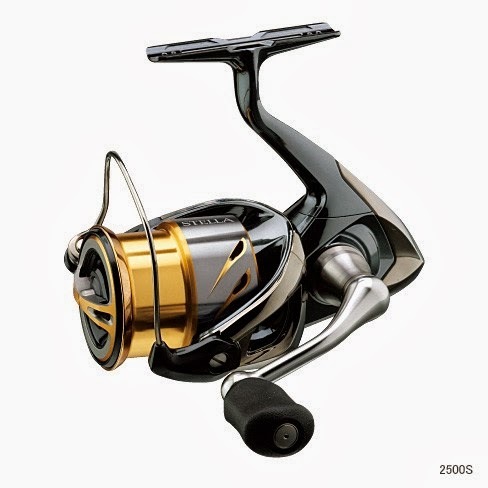 Shimano will release New Stella 2014 on this March! 14 new models will be released. 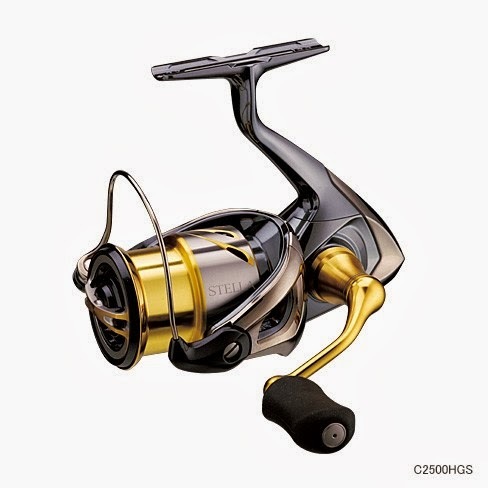 New Stella 2014 is newly equipped with a Micro-Module Gear which never equiped on Shimano Spinning reels. Micro-Module Gear gives extream mooth rotation with less noise. We will check New Stella 2014 at Fishing Show Osaka 2014 and upload the report ! Please check out this blog! !